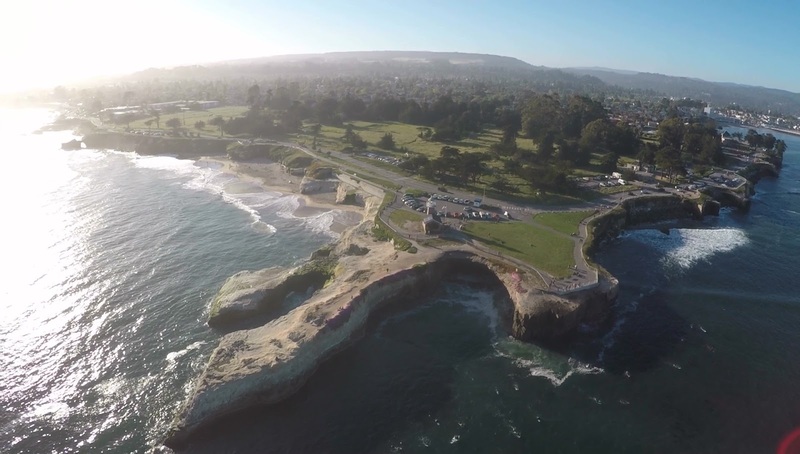 Steamer Lane from on high, a cam snap from video I shot with my 3DR Solo drone. Here's a direct link to the video this is from. I'm going to start doing more flying and videowork and expect to be posting more videos to YouTube. Here's a link to my channel, if you're down, give a sub and help me get to that fabled 100 subscribers number that'll empower me to choose my own special, custom URL. Beyond this, life goes on. We celebrated Sully's 11th birthday this last weekend with a long and occasionally epic Nerf war. In the run up to his birthday we acquired many, many new (to us usually, most are used) Nerf blasters. To the degree that we now have a rather large arsenal that requires upkeep to prevent it from completely taking over the living room. And I'm still getting out and SUP surfing as much (almost) as I can. I'm mostly sticking to Indicators, Middle Peak and Steamer Lane these days as Cowells' generally meager waves are either too crowded or there's just not enough of them. Links to SUP Surfing videos as well, mostly mine but occasionally mixing in another SUP video as need be. Next up is summer break and lots of time off from work and time to spend with kids. Summer plans include trying to get out and camp again, we didn't go at all last summer and I missed it. Maybe even some bike camping if we can make that work.